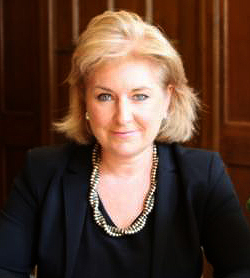 Dame Sue Carr was called to the Bar in 1987 (Inner Temple). She was appointed Queen’s Counsel in 2003. She became chairman of the Professional Negligence Bar Association, chairman of the Bar Standard Board’s Complaints Committee, Complaints Commissioner to the International Criminal Court in the Hague and head of chambers at Four New Square. She was appointed to the High Court Bench (Queen’s Bench Division) in June 2013. She became a nominated Judge of the Commercial Court and the Technology and Construction Court in 2014. She is a presiding Judge of the Midland Circuit with effect from January 2016. She currently sits on the Judicial College Board and on the editorial board of the Turkish Law Review. She is tri-lingual (English, French and German).